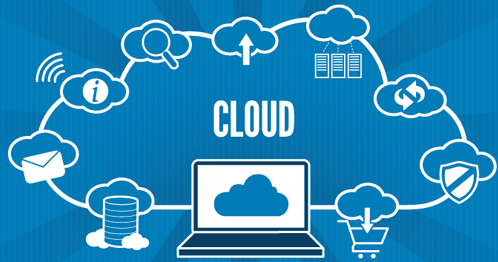 Like most of the things, finalizing an appropriate cloud hosting company can be tough. With a plethora of companies in the market, each promising to offer the best and affordable services, choosing one can be a challenging task. However, there has to be some way to find the one that is perfect for all your business needs. Infrastructure: What type of infrastructure your cloud hosting company has? What type of storage and how much bandwidth will the host offer? What are the pricing and resource options? Initially, you might think that all these questions are not so important, but in the long run when you will need more resources or when your hardware will fail all these questions will make a difference. It is important to ensure that the host will be able to meet your current as well as future demands. Bandwidth: Most of the hosting companies have an imposed bandwidth. However, by opting for the best cloud server hosting provider you don’t have to pay too much for more bandwidth that you might need when there is a surge in traffic. Pricing: In cloud hosting, you pay for what you use. Even then, ensure to look at the different pricing plans available. There are companies that claim to offer cheap plans but then they charge some upfront costs. Choose the one that offers flexible pricing plans as well as offer you the flexibility of scaling up and down as per your needs. Reliability: When aligning your website or business with any outside service, it is important to check the reliability of the cloud vendor. Make sure that the host enables your website to have the robust bandwidth and data exchange in uptime. Security: It is one of your major concerns. Security can never be compromised. Make sure that the provider delivers on its promises when it comes to storing your critical and confidential data over the cloud. You should look for security measures such as anti-virus detection, firewalls, data encryption, user authentication, and audits. Customer Support Services: Choosing a cloud server means that you will have the whole virtual server hosting. No matter how efficient and feature rich your server is, you will need support to maintain it and resolve problems. Without any exception, the provider should offer technical support whenever needed. Don’t forget to enquire about response and resolution time. It is one of the main concerns of start-ups and established businesses to have a secure hosting network with all the resources. Making a wise choice out of the best cloud servers in India isn’t that difficult. All you have to do is keep these factors in mind and take your time to make an informed decision. If you are in search of the best cloud servers, then do not look any further. As one of the best cloud servers in India, ComputeHost offers a range of services with affordable plans. Visit its official website today to know more.